Last year, the company formally known as Snapchat released Spectacles, their camera-equipped glasses that let Snapchatters record short first-person videos – hands free – with a tap of their finger. These were the first product by Snap Inc., Snapchat’s new “camera company”. Specatcles are one size fits all. The plastic frame has a built-in camera with exterior LED lights that light up when you’re recording. Interior LED lights indicate when the battery is low, so you know when to recharge via charge cord or charging case, when your storage is full and if the specs are too hot or cold. The camera records video in 10 second intervals; recording is started when you tap the side of the glasses. You can increase video length by tapping up to three times on the side to get up to 30 seconds of video. When you’re done recording, just tap and hold. All of your videos upload to your Memories in SnapChat – to import, you just have to open the app on your phone and navigate to Memories, the videos will automatically import. Overall, the video quality is decent – it was designed for SnapChat, so the videos are the perfect quality for that platform. Spectacles use circular video recording, so you can rotate the phone to see more of the image. Unfortunately, when you backup the videos to your computer, that means that the video image will be a circle rather than the traditional rectangle or square. Spectacles are available via Snapbots, pop-up vending machines that float around the US, landing in a different location, hanging around for a day or so, then moving on. Snap Inc. announces the landing locations on their website, so that people looking for a new way to record video can stop by and purchase their Spectacles. When you approach the Snapbot, it’ll turn on and let you “try on” the different colours of Spectacles – coral, black or teal. I say “try on” in quotes because you don’t get the physical item until you pay, so it’s more of a “standing in front of the camera and watching as a virtual pair are placed on your face” thing. Spectacles come fully charged from the Snapbot, with a charging case, charging cable and cleaning cloth. The charging case is an interesting concept – it’s a marriage of a portable charger and a glasses case; when you put the Spectacles in the case, they’ll charge up automatically. A fully charged case will recharge Spectacles about four times. Overall, if you use SnapChat, Spectacles are worth the investment for hands-free first-person videos to share with your ShapChat friends. 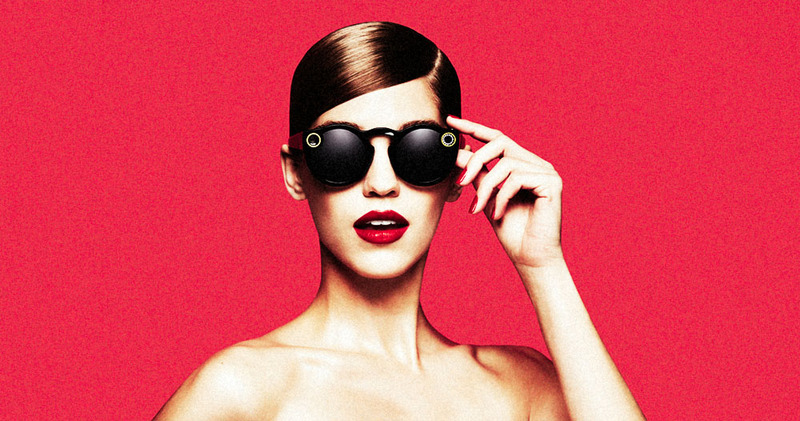 If you don’t have SnapChat, maybe wait until they develop Spectacles for everyone else.